Pennsylvania supermarkets and convenience stores are being supplied by the PLCB for wine sales. Ordering, distribution and selection support is being provided by the PLCB. Here are links to the PLCB for ordering, licensing and any future license auctions. Rahul Rao, a senior at the Downingtown STEM Academy is the 2018 PFMA-DECA Scholarship Recipient, and will receive $1,000 to use toward his future studies. DECA prepares emerging leaders and entrepreneurs in marketing, finance, hospitality and management in high schools and colleges around the globe. Learn more. The Pennsylvania Food Merchants Association unveiled its 2019 legislative priorities as well as recapping its 2018 legislative activity and successes. From the sugar-sweetened beverage tax to gaming issues to minimum wage, the state and federal issues PFMA is focusing its efforts on greatly affect its members and their businesses. We thank you for your support as we move into 2019. To learn more about our priorities, and read about what we did last year, click here. We're excited to bring our 2019 Annual Conference to the City of Brotherly Love. The event will take place at the Pennsylvania Convention Center, and we've established a room block at the adjoining Marriott Philadelphia Downtown for your convenience. For more information, visit the event's page here. Lead the Way! Become a Corporate Leadership Sponsor today! Each year, lawmakers develop new legislation that creates hardships for your businesses, your employees, and customers, Your support helps PFMA push for the measures that help your businesses and fight the ones that don't. The investment you make as a Corporate Leadership Sponsor has numerous benefits, including advertising in our Spectrum newsletter, Membership Directory & Buyer's Guide, registration waivers at our Annual Conference and Fall Conference, and more! Learn about how you can help lead the way in the industry by becoming a sponsor by clicking here. Rutter’s cut the ribbon on its new Altoona store Thursday, March 21 and presented four local charities with donation checks during the grand opening. The store, located at 3000 6th Avenue in Altoona, is open 24/7 and serves as a comfortable, convenient rest stop for both local guests and travelers alike. Learn more. ​Ensure that your associates know how to properly “card” and deny minors’ attempts to purchase age-restricted products. Check out WeCard.org for training, handouts, signs and other resources. ﻿﻿﻿Find out more﻿ ﻿﻿about specialized alcohol sales training for PFMA members. Find out more about ﻿﻿﻿FEC Courses﻿﻿﻿ at the Pennsylvania Department of Agriculture. Ensure that your associates know how to properly “card” and deny minors’ attempts to purchase age-restricted products. 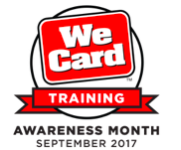 Check out WeCard.org for training, handouts, signs and other resources. An independent judging panel has selected 24 Ridge Scholars and one Weis Markets Scholar for 2015-16. Congratulations to all the recipients and thank you to all students who applied and to the members who advertised the scholarship to their associates. Call or email us to learn more about the benefits of retail and associate membership. Call the office at 800-543-8207 or ﻿email﻿. The Senate has passed legislation to prevent municipalities from creating employee leave policies.